Netflix is doubling down on Ted Bundy, as they've just announced a release date for the biopic Extremely Wicked, Shockingly Evil and Vile. To go along with the announcement, they've also released a brand new trailer and poster for the movie. This comes following the debut of their miniseries Conversations With a Killer: The Ted Bundy Tapes. While Netflix almost never releases any sort of ratings information, that clearly did well for them, and now they have a companion piece coming down the pipeline very soon. Extremely Wicked, Shockingly Evil and Vile will officially debut on Netflix and in select theaters on May 3. The movie initially made its debut at Sundance earlier this year and was one of the buzzier titles heading into the event. 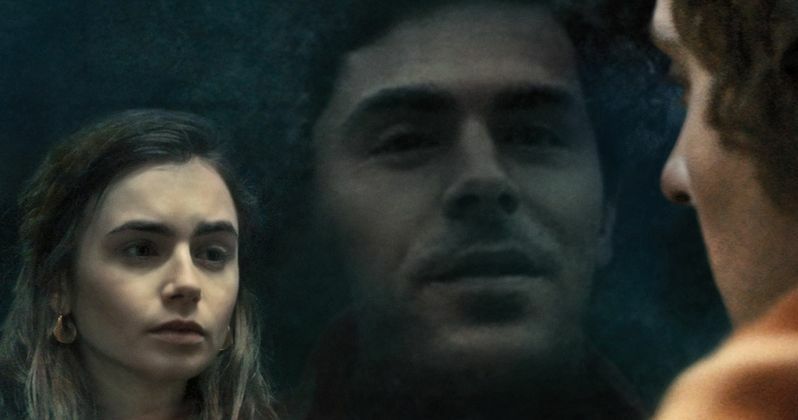 Zac Efron stars as Ted Bundy, the infamous serial killer who is believed to have killed more than 30 women, though no exact number has ever been agreed upon. At the present time, it isn't clear how much of a theatrical run the movie will get, but the streaming service has been playing more with theatrical windows as of late. As for the new trailer, it's decidedly better than the one that was released ahead of Sundance, before Netflix stepped in to distribute. It doesn't paint Ted Bundy as a glorious figure. Instead, it dives deep into the seedy nature of this man, and the horrible acts of murder he committed. The previous trailer was very showy and definitely didn't carry the weight that a movie about a vicious serial killer probably should. Whether or not the movie is as dark as this trailer makes it out to be remains to be seen for most of us, but it paints a compelling take on the whole thing. In addition to the trailer, a new poster has also been released, which we've included below. While the exact figure of the deal wasn't disclosed, it's expected that Netflix paid somewhere in the $9 million range for the movie. It's directed by Joe Berlinger, who, as it just so happens, also helmed The Ted Bundy Tapes. As it stands, the movie holds a 64 percent approval rating from critics on Rotten Tomatoes, with a lot of praise going around for Zac Efron's performance. Be sure to check out the new trailer for Extremely Wicked, Shockingly Evil and Vile from Netflix streaming service below.